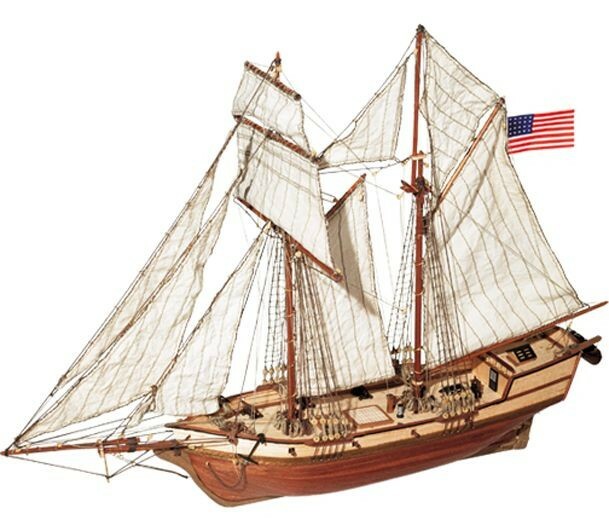 Schooners were ships used for different purposes, including coastguard work and the control of smuggling along the coast, as well as carrying out the functions of a small warship. 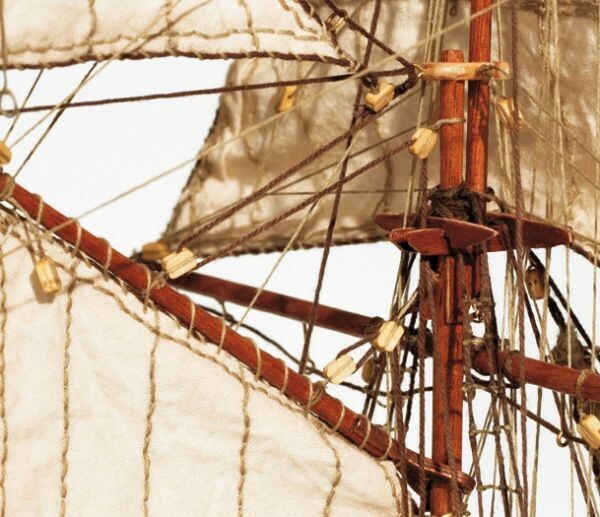 Their fore-and-aft rigs allowed them to sail close to the wind, often giving them an advantage in a chase. 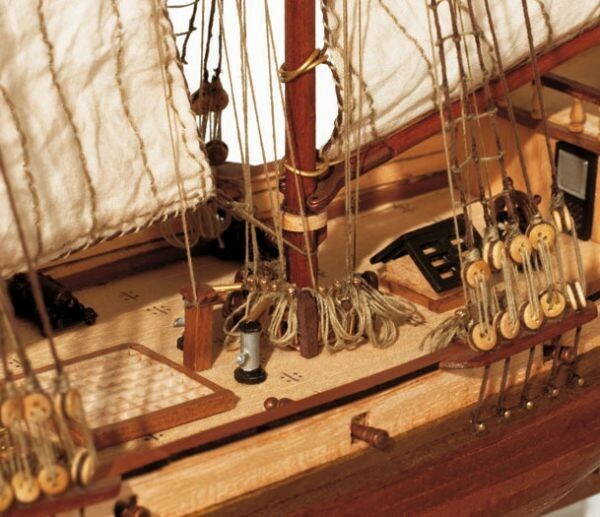 The rigs also required fewer sailors to operate than a similarly sized square rigger, making them more cost effective for their owners. 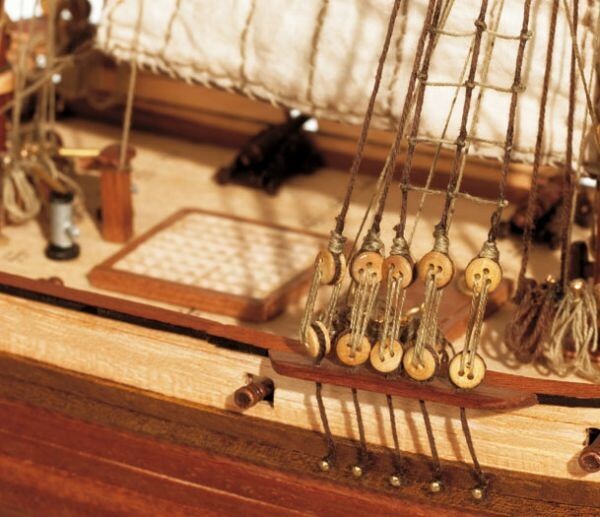 Occre’s Albatross kit is a typical American schooner of the late 18th/early 19th century. 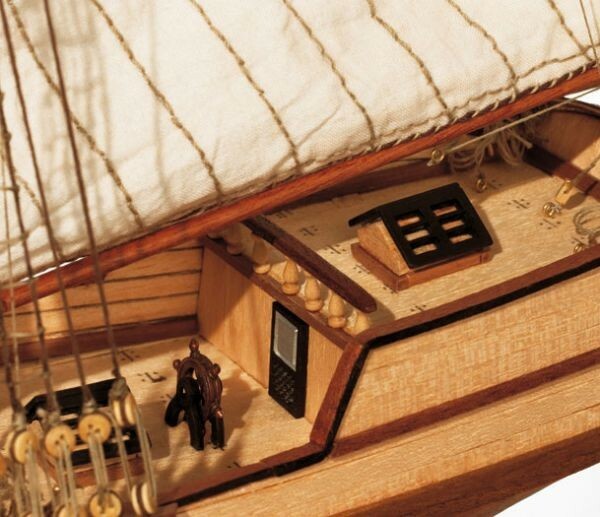 The kit features a double planking on precision cut plywood keel and frames. 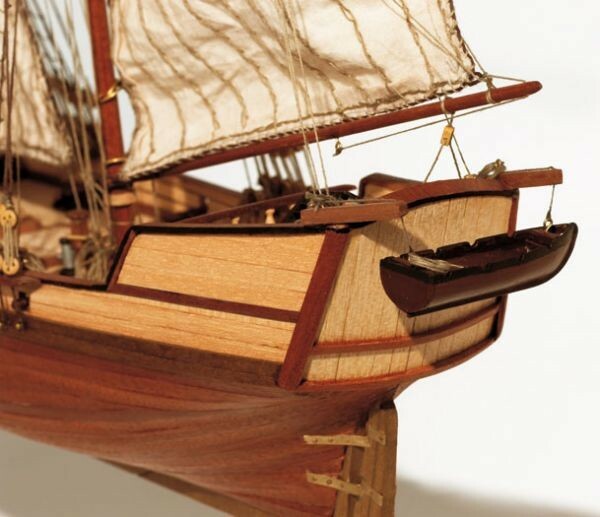 Detailed parts such as blocks, deadeyes, doors, cannons, carriages and deck pumps are in wood or metal. Sails, rigging line, and flag.